From the outside looking in Garrison Davis seems like every other senior in high school. On the inside though, he’s an emotional wreck promising to not love anyone. He chooses to protect himself by vowing solitude. His dad is in prison for dealing drugs; his mother is a recovering addict and an emotional mess. The only thing that brings him joy is playing the drums and that feeling of being needed by his band. It is his escape, his passion. No one gets hurt or disappointed. That is until he lays his eyes on Reese at school. She is the exact example of what he cannot let himself get involved in. He would do nothing but drag her down with him. “I want to tell her and show her how much I love her. I had loved her from the first time I saw her smile but I can’t, I won’t. She deserves so much more than I can offer. I’m the spawn of a drug dealer and an addict. I have never let myself love another person and now… I love her so much it hurts.” Reese Owens is the exact opposite of Garrison. Inside she’s beaming; growing up in a happy home and on the outside she was a duck out of water. Her parents are the over protective set but are finally loosening the jail bars. 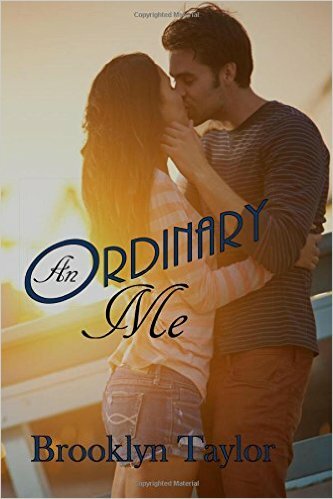 Sophomore year in high school, she has never dated a boy and is envious of the social life her best friend Autumn Welch has. She meets Garrison and is instantly attracted to him. He pulls away when she pushes in. A whole new world opens up to Reese and she finds herself falling into situations she can’t get herself out of. Making bad decision after bad decision, she finds out the hard way on how life is full of choices. The one thing she wants more than anything is Garrison’s attention which she doesn’t get in return. “How is it possible to love someone and keep it quiet? Never to utter those very words knowing he doesn’t feel the same way. I finally fall in love and he only wants to be friends. He is everything I have always wanted and he keeps me at a distance making sure we don’t get too close. How can I ignore my feelings and act like I don’t have them when we are around each other? How do I resist the urge to move my lips towards his when he is talking to me?” Garrison realizes he has to be honest with Reese and tell her how he really feels before he loses her for good. Just maybe, he will get love in return for the first time in his life. When he finally convinces himself to come forth, a life changing event occurs that could take away the only person in his life that truly loves him. Is it too late? Does he get the chance to tell her? And when he confesses does it matter?